Demonym (; δῆμος dẽmos 'people, tribe', ὄνομα ónoma 'name') is a recently minted term. (Previously, the term gentilic had been referenced by the Oxford English Dictionary.) Demonyms are words that are used to identify residents or natives of a particular place. A 'demonym' is also derived from the name of that particular place. Examples of demonyms include Chinese for the natives of China, Swahili for the natives of the Swahili coast, and American for the natives of the United States of America (or sometimes for the natives of the Americas). Just as Americans may refer to two different groups of natives, some particular groups of people may be referred to by multiple demonyms. For example, the natives of the United Kingdom are the British, or the Britons. Demonyms are capitalized. In languages other than English, a parallel demonym sometimes does not exist, which may lead to the use of an English demonym as a nickname or descriptive adjective of a group of people. 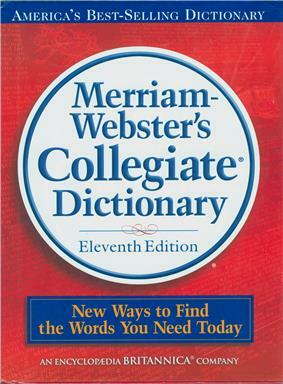 The term has not been adopted by the Oxford English Dictionary or the Merriam-Webster dictionary. English widely includes country-level demonyms - such as "Ethiopian", "Guatemalan", "Japanese", and "French". But English much more rarely includes lower-level demonyms - such as "Seoulite", "Wisconsinite", "Chicagoan", and "Fluminense". Indeed, even some large cities such as Australia's Perth, and many other places, lack a commonly used and accepted "demonic". This poses a particular challenge to those toponymists who research demonyms. Also, demonyms must be considered a subtype of adjectives and nouns used as appellations. The word gentilic comes from the Latin gentilis ("of a clan, or gens") and the English suffix -ic. The word demonym was derived from the Greek word meaning "populace" (δῆμος demos) with the suffix for "name" (-onym). ^ "Gentilés, Demonyms: What's in a Name?". ^ , edited by J.E. Sandy, at the Internet Archive"Constitution of Athens"Aristotle's . p. 116. ^ Press, AIP, Associated (2007). Stylebook and briefing on media law (42nd ed.). New York: Basic Books. p. 112. ^ Paul Dickson (15 August 2006). Labels for Locals : What to Call People from Abilene to Zimbabwe (1st Collins ed.). New York: HarperCollins. p. 208. ^ "North West Evening Mail". nwemail.co.uk. Literature and science fiction have created a wealth of gentilics that are not directly associated with a cultural group. These will typically be formed using the standard models above. Examples include Martian for hypothetical people of Mars (credited to scientist Percival Lowell) or Gondorian for the people of Tolkien's fictional land of Gondor. "-ish" is usually only proper as an adjective. Thus many common "-ish" forms have irregular demonyms, e.g. Britain/British/Briton; Denmark/Danish/Dane; England/English/Englishman; Finland/Finnish/Finn; Flanders/Flemish/Fleming; Ireland/Irish/Irishman; Kurdistan/Kurdish/Kurd; Poland/Polish/Pole; Scotland/Scottish/Scot; Spain/Spanish/Spaniard; Sweden/Swedish/Swede; Turkey/Turkish/Turk. "German" is not derived by suffixation of the term "Germ"; rather, it is the shortened form of Latin Germanus.